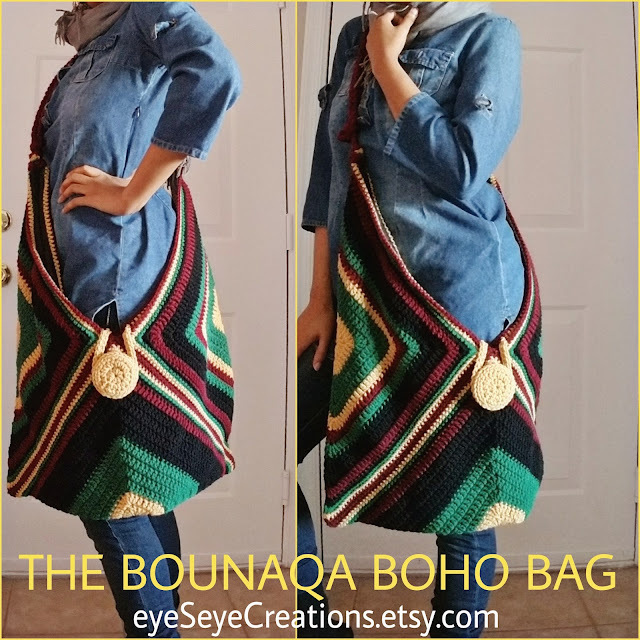 The Bounaqa Oversized Boho Bag has been one of my creations for a while. 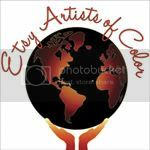 This time around one of my supporters wanted it created in the colors Black, Green, Gold, and Burgundy. 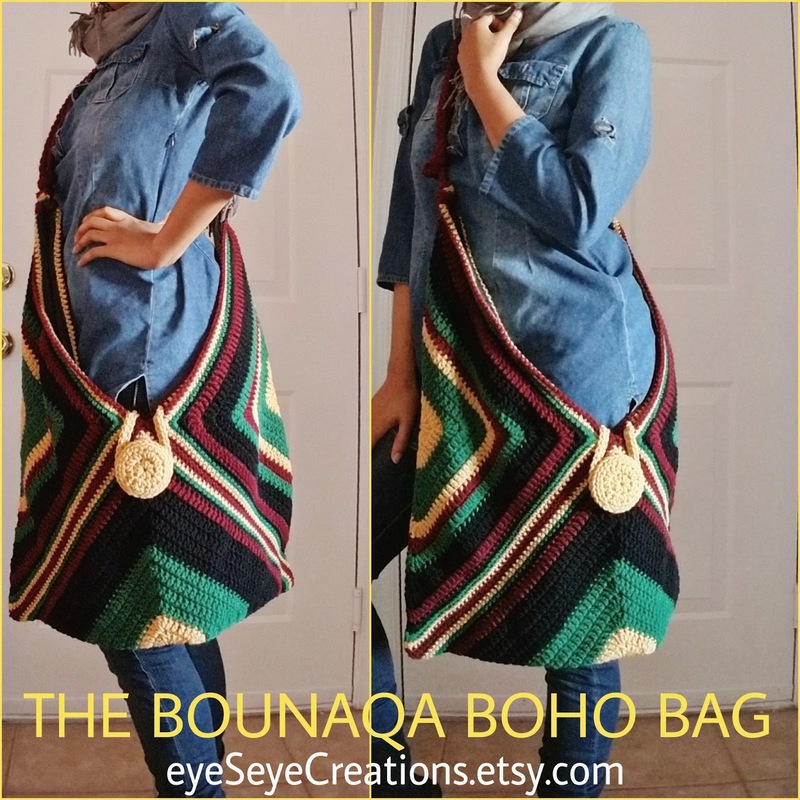 This option is now available in the shop.